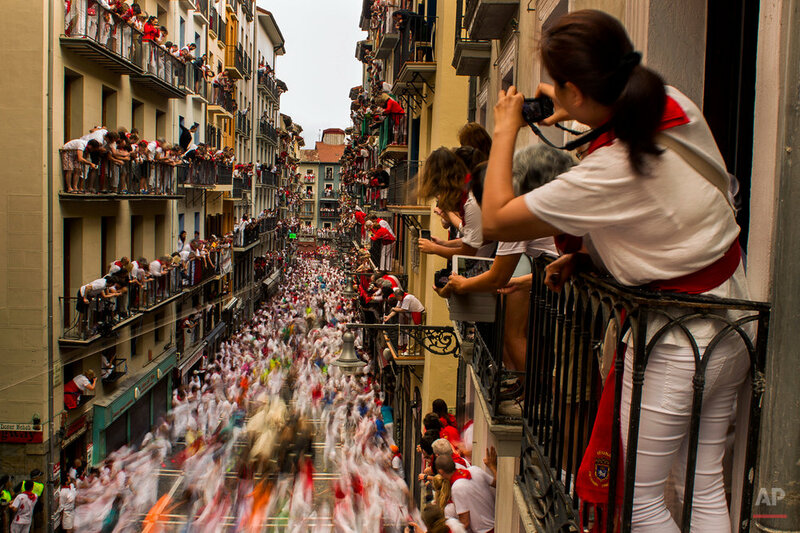 For some, the day at Pamplona's San Fermin festival begins with an adrenalin-pumping bull run through narrow streets. For others, the runs are the exhilarating climax to an all-night street-party. 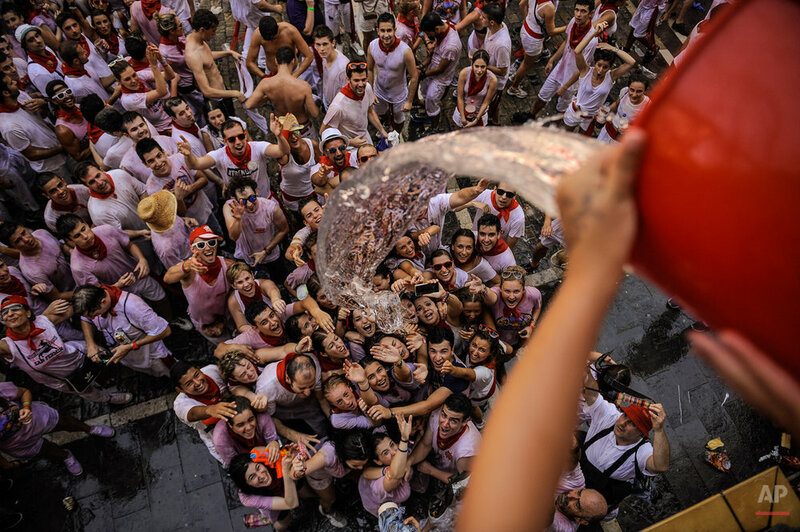 With the launching of the "chupinazo" firework rocket July 6, Pamplona erupts into a nine-day, non-stop festival that attracts tens of thousands of tourists from around Spain and the world each year. 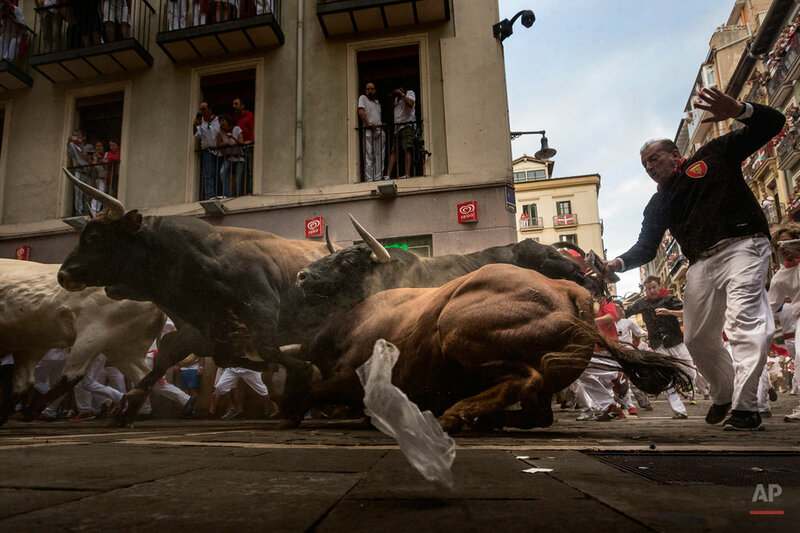 Many come to test their bravery and speed by dashing with six fighting bulls along a narrow 930-yard (850-meter) course from a holding pen to the city's bullring. 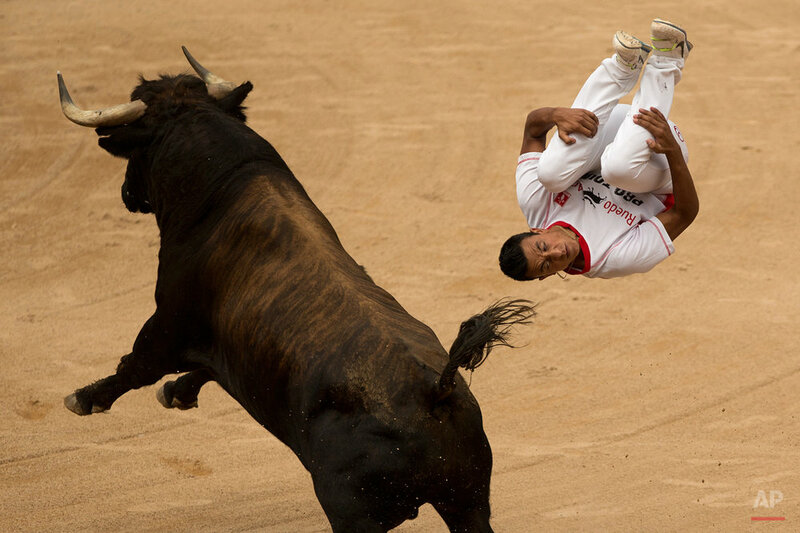 The bulls are killed by professional matadors in bullfights each afternoon of the festival. 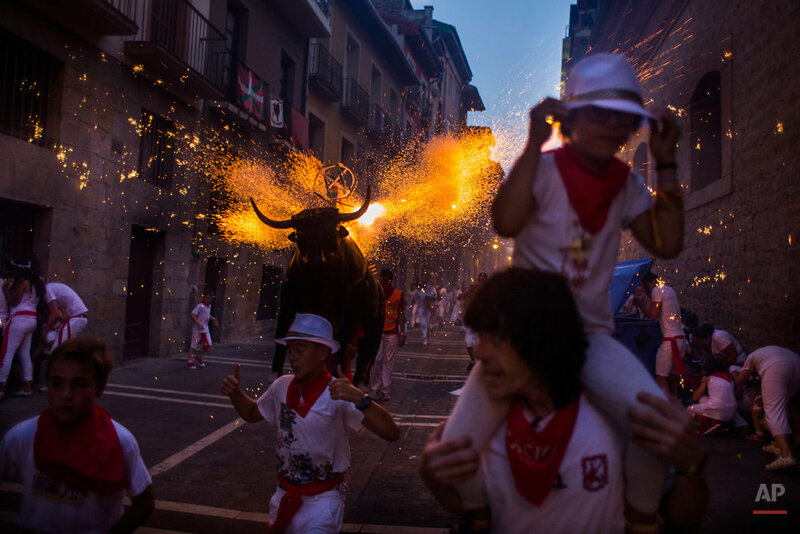 Ten people, including four Americans, were gored in this year's festival in Pamplona, but no one was killed. Dozens were injured in falls — or by being trampled by beasts or fellow runners — during the two-minute sprints. Fifteen people have died from gorings since 1924. 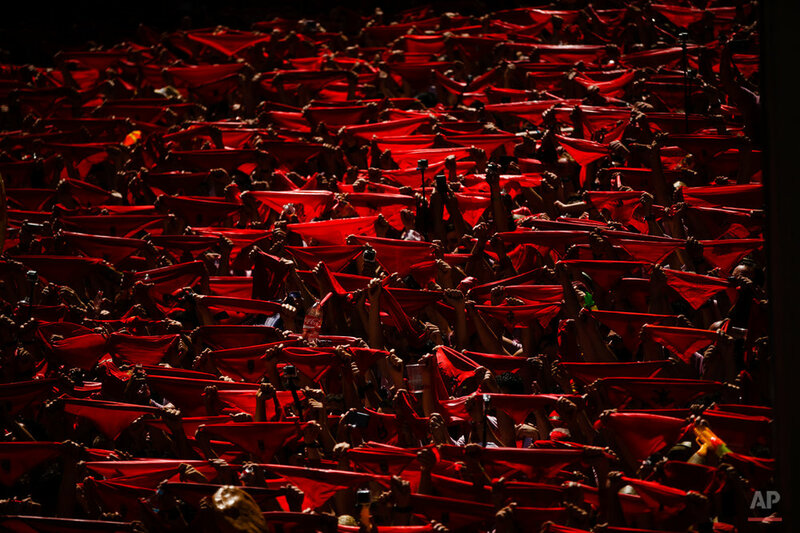 The festival, named after the northern city's patron saint, dates back to the late 16th century. It was immortalized in Ernest Hemingway's 1926 novel "The Sun Also Rises." Click on any image below to launch the gallery. 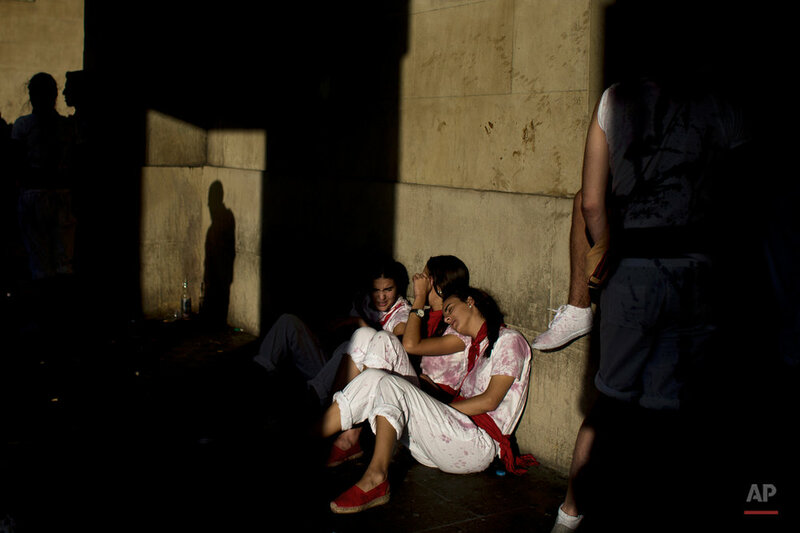 Text from the AP news story, AP PHOTOS: San Fermin, a fiesta of bull runs and revelry.